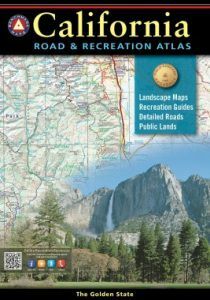 This CALIFORNIA State atlas has 144 total pages. The scale of the Landscape maps is 1:300,000 which equates to about 1"= ~5 miles. The scale of the Public lands map is 1:862,905 which equates to about 1"=~13 miles.